100 Episodes later! 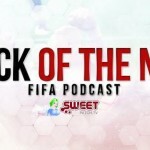 Hope you all enjoy the podcast this week and make sure to leave a like. We wanted to bring you something special this week for BOTN and I hope you are happy with it. Thanks to all the guests we have had on over the episodes and for all your support over the weeks and for the weeks ahead. Cheers. 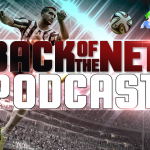 Thanks for listening and watching for the first 100 episodes and we look forward to seeing you next week for the next episode of Back of the Net podcast.